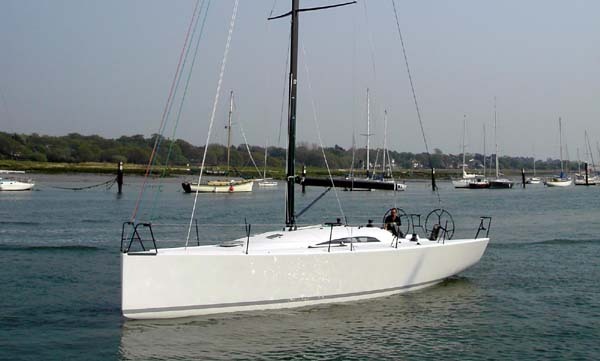 39′ IRC custom Cruiser/Racer built by Vision Yachts acclaimed as perhaps the top IRC yacht of this size. 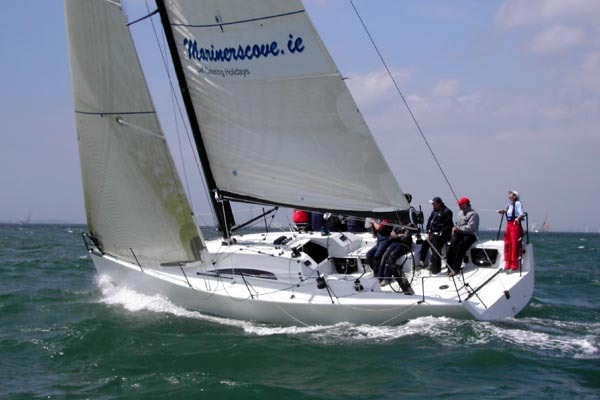 MarinersCove.ie is one of our most successful custom IRC designs with four National IRC Championship titles, built by Vision Yachts in Cowes for Cork owner David Dwyer. She continued our very successful IRC Cruiser/Racer formula established with the DK 46, the MAT 12, and Tiamat blending the best features of a high performance IRC raceboat with an enhanced cockpit and interior to produce a truly dual purpose design. 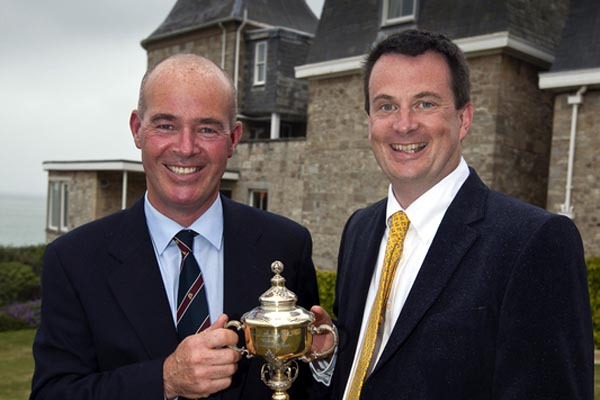 David organised a very strong campaign in 2006 with Project Manager Peter Morton which included winningher class at the UK IRC Nationals and Cowes Week, as well as leading for most of the Commodores Cup. 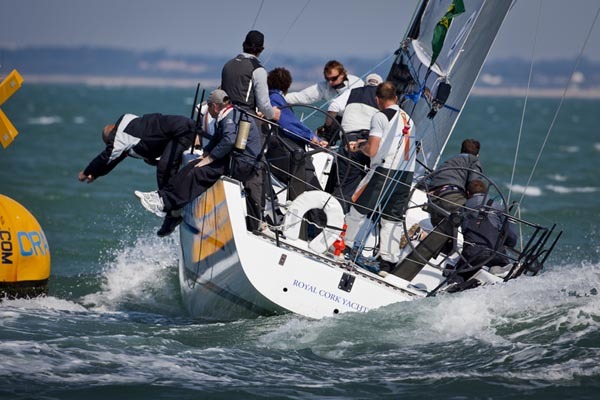 With the Commodores Cup providing the most stringent rating limits of the target events, fitting into its middle boat slot had the strongest impact on the parameters of the design. After initial group discussions aimed at deciding the design type, it was felt that we would prefer to have a size advantage given the importance of starts generally, and the presence of reaching segments on the offshores, so the final design represents a targeted approach to producing a boat of greater overall length than her rivals in the class. 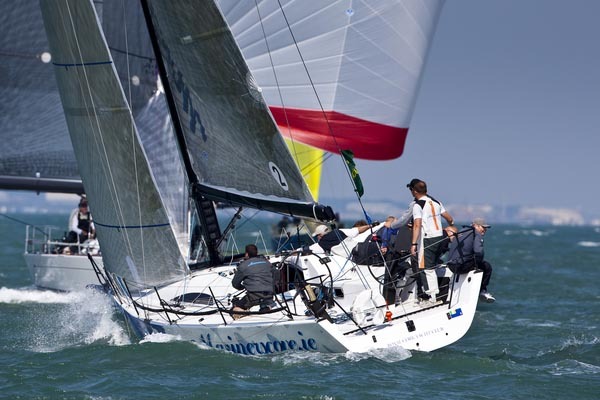 With the focus on waterline length as the primary boat speed component we started an intensive design investigation on a family of 30+ hulls including derivatives of our successful 2005 IRC 40 Tiamat. The outcome pointed towards accepting a higher displacement to achieve the increased length, and packaging it in a hull which minimised drag to offset any disadvantage in light airs. 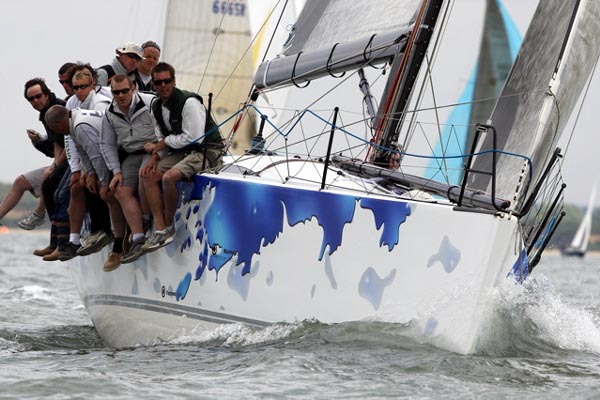 Familiar with the quality expected from Vision we felt able to make the most of the opportunity and pushed the design into a very small niche limited by the Displacement/Length DLR and the class rating limit set in the Commodores Cup NOR. The end result is a slim 39’ IRC Cruiser/Racer with an edge upwind in a breeze, and reaching and running in all conditions, while the strong crew fill out the envelope in shiftier conditions where tactical appreciation becomes the dominant factor. On deck the open cockpit aft allows for twin wheels with good clearance between them. Although a single wheel may be more usual on designs of this size the benefit to the helm position, the ability to move from the hatch to the transom without leaving the cockpit, and the ability to maintain the cockpit floor as an unbroken structural element gives the twin wheels the edge. The mainsheet position is ideally sited close to the helm, with the winch and pushbutton backstay controls to hand. Forward of this ergonomic seats and coamings enclose the front of the cockpit. 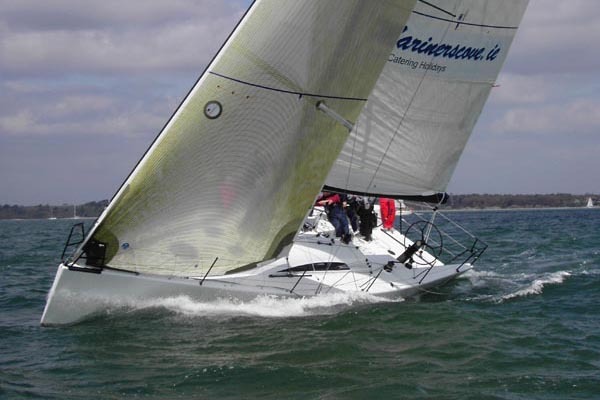 Diverse Yacht Systems developed and supplied the mainly Harken deck package as well as the B and G electronics. 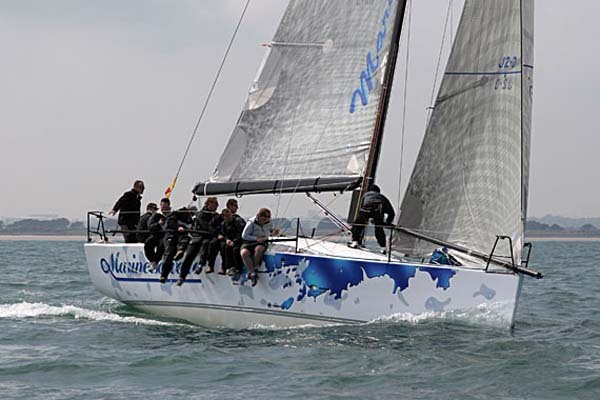 The carbon 2 spreader rig from Formula Spars is a refined version of the now standard IRC rig, curved spreaders helping the rig envelope match the upwind sail plan developed by Kevin George at North Sails, while the masthead spinnakers reflect IRC’s benevolent attitude to spinnaker size. Meridian hydraulics continued to develop the powered hydraulic package created for Tiamat which is swiftly becoming the standard solution in this size range. Below a complete interior reflects the expected use by a full crew with an enclosed double cabin forwards, seatbacks which lift to form berths over the settees amidships, and Pullman berths aft. 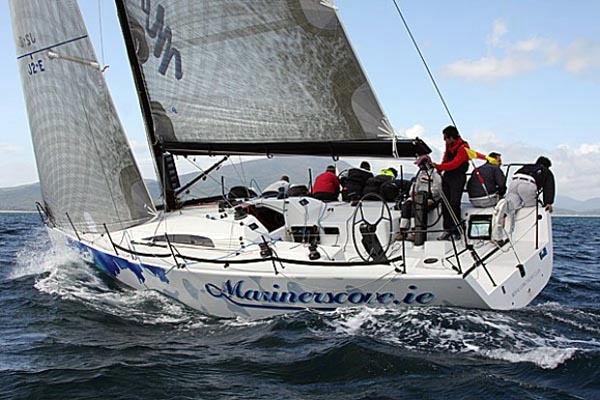 The layout is intended for practical use offshore, with a full galley and Nav station with stowage behind on either side of the main hatch.MarinersCove.ie has been built by Vision to a particularly high standard, reflecting the dedication of this specialist yard. 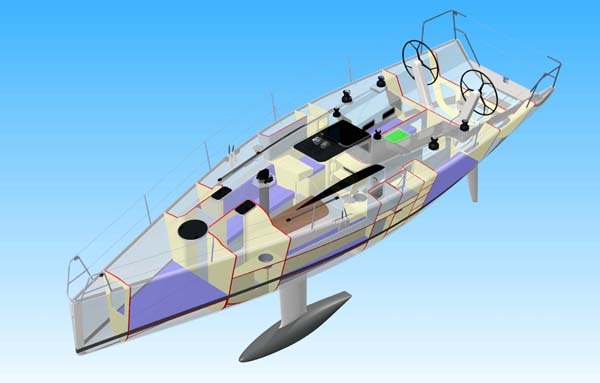 A female hull mold resulting in minimal hull fairing and well-executed details such as composite chainplates are just some of the areas where they have developed refined solutions which contribute to impressive component weights. With the complete design modelled in Solidworks as usual by engineer John Fox, Vision along with the owner and project manager have been able to benefit from the E-Drawings software for discussion and construction detailing. This free 3-D viewer module of Solidworks allows models to be viewed, rotated, animated, and cut away to give the clearest possible visualisation of the design and every detail. Design development in 3D also promotes the use of Finite Element Analysis on any part to ensure that it is engineered appropriately for the expected loads – keel fin and grid being obvious applications, but extending even to composite wheel design.